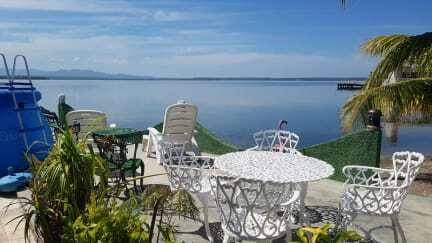 Casa Vista al Mar is ideally located in Cienfuegos, perfect for an unforgettable experience in Cuba. Casa Vista al Mar is a beautiful home situated beside the water with a wonderful view of the bay. The property is located in a touristic area. There is a terrace surrounded by coconut trees and hammocks. Breakfast is served daily, extra-fee may be applied. Casa Vista al Mar is located in Punta Gorda, near Park La Punta, Palacio de Valle, Complex hotel Jagua, Marina Marlin, Park de las esculturas, Yachts Club Cienfuegos, Pier (Malecon), Gym Spa and a Clinic. Casa Vista al Mar offers 2 comfortable private en-suite rooms. 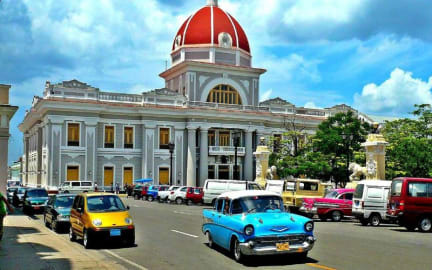 The rooms offer all facilities expected for a great stay in Cienfuegos. Check-in time is from 1 pm to 6 pm. Check-out time is 10.30 am. Breakfast NOT included. 5 CUC per person per day. Guests must present a valid passport.